You can find your current plan at the top-middle section of the dashboard. Once you click on it you can find the package Comparison Screen. 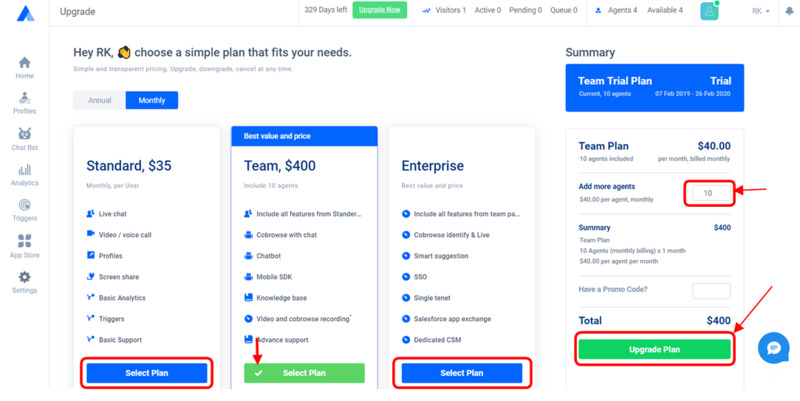 Here, on this Package comparison screen you can Select the package you would like to buy, add agents to your plan and click on “Upgrade plan” & then it will redirect to payment page and your plan will be upgraded.